Refresh brain. Relieve pain. 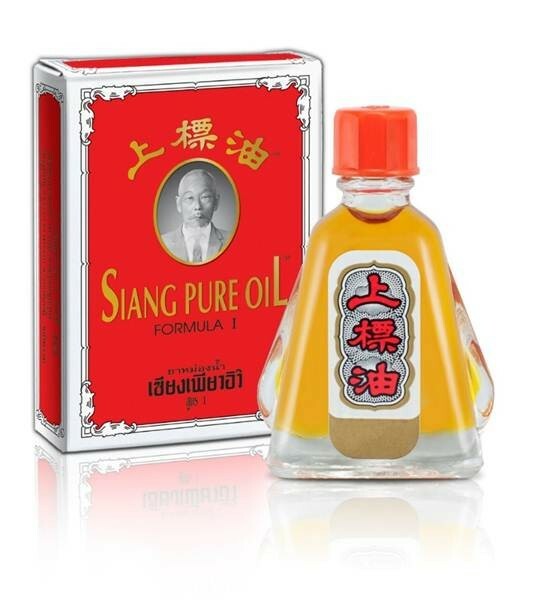 SIANG PURE OIL FORMULA I Strong aroma with clear amber oil. 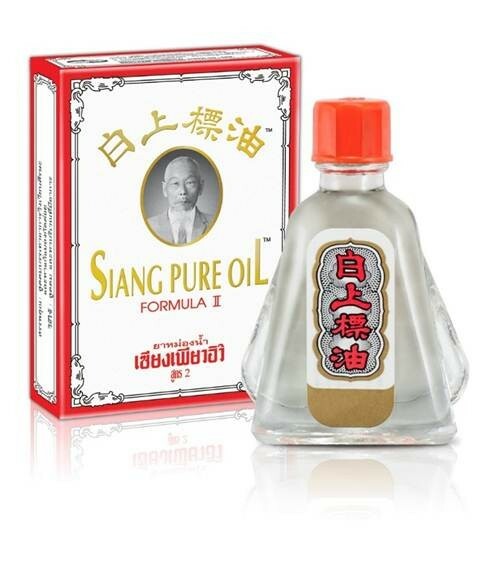 SIANG PURE OIL FORMULA II Mild flavor with clear colorless oil. 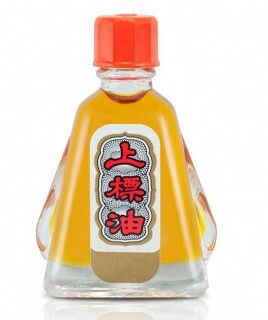 Uses: Inhale for relief of stuffy nose, dizziness and feeling faint. 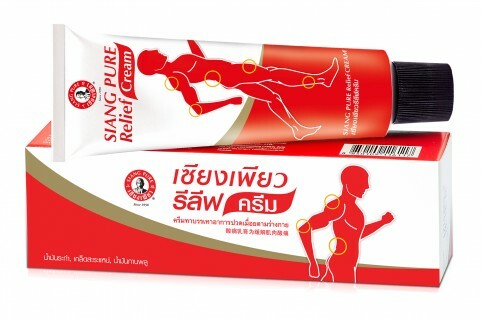 Rub for relief of flatulence, cramps, sprains, muscular pains and insect bites. 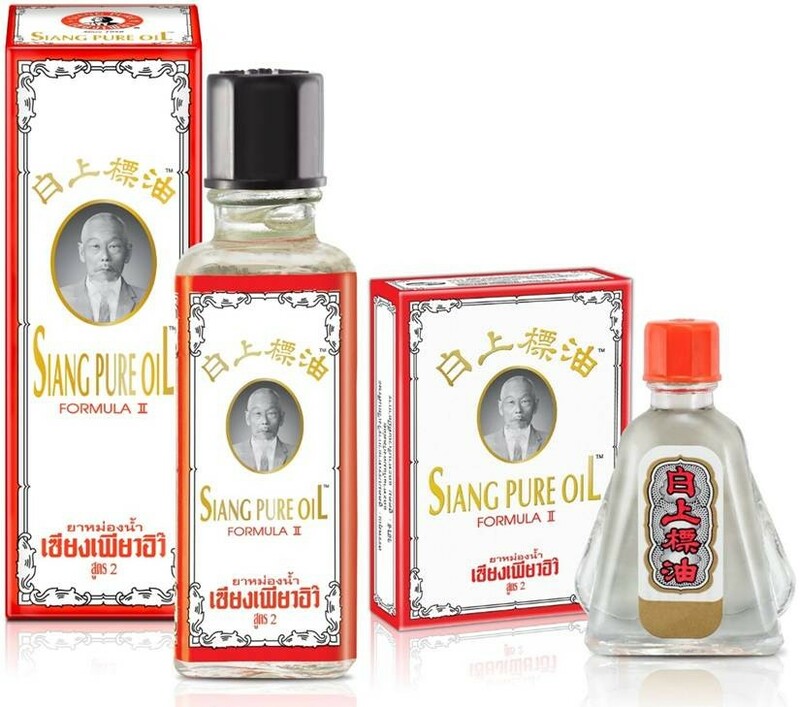 When inhaled, these products will help relieve nasal congestion, dizziness and faintness. When rubbed on the affected area, they alleviate indigestion, stomach cramps, muscle strains, sprains, joint pains, bruises, soreness, boils and insect bites and stings. Roll your pain away. An innovative platform to satisfy our customer needs. Inhale or rub over for relief of dizziness, faint, muscle pains, insect bites, and itches. 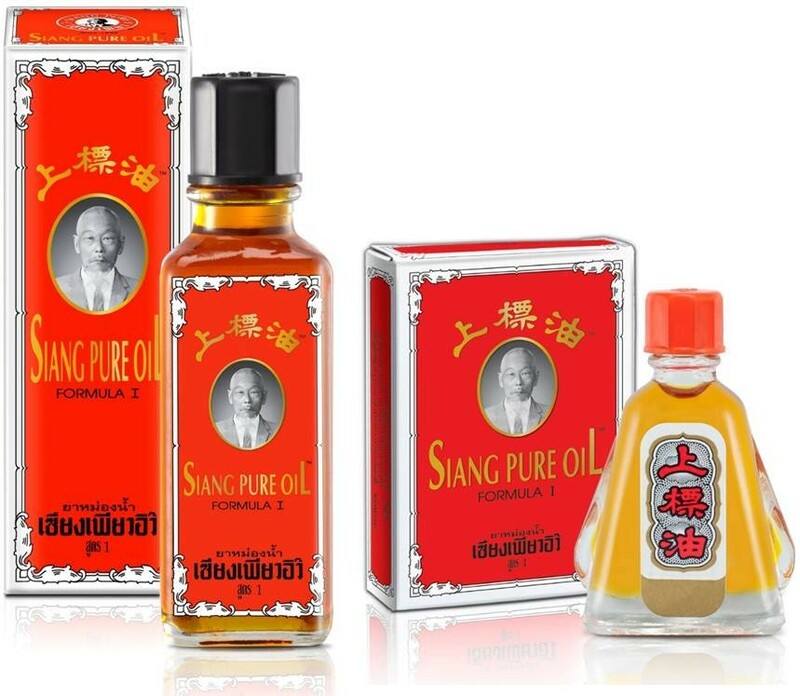 Fights all pain Yellow Siang Pure Balm: Strong flavor with amber homogenous ointment. 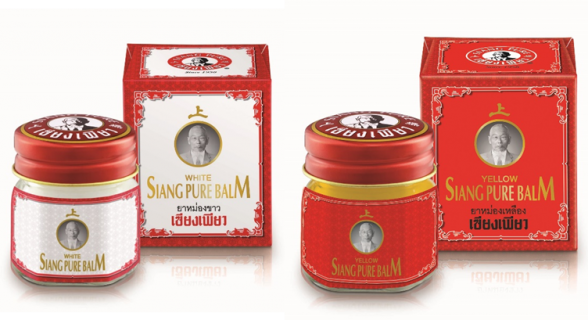 Available in a clear glass bottle White Siang Pure Balm: Mild flavor with white homogeneous ointment. Also available in a clear glass bottle. 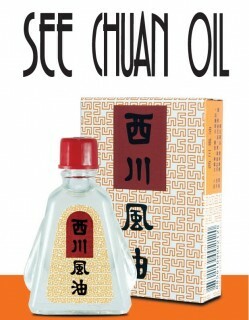 Uses: Rub over for sprains, muscular pains, insect bites and itching. Inhale for relief of feeling faint, dizziness and giddiness. Inhale freshness. An aromatic inhaler Inhale for relaxation and refreshment Product Indication: for headache, dizziness, feeling faint, motion sickness, mosquito and other insect bites. Inhale freshness! 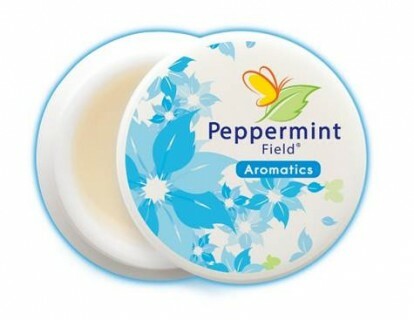 An aromatic inhaler Product Indication: for headache, dizziness, feeling faint, motion sickness, mosquito and other insect bites.